Prior to the outbreak of World War II Billy Butlin had just opened his first two camps; Skegness and Clacton on Sea. The camps were in full swing with the atmosphere being generated by the team of cheerful and friendly Redcoats. Cyril Reeves was one of the very first Redcoats, his duties would have included general Redcoat duties as well as being a swimming instructor. It would be a few years later at Butlin’s that Cyril first met Joan Smith. 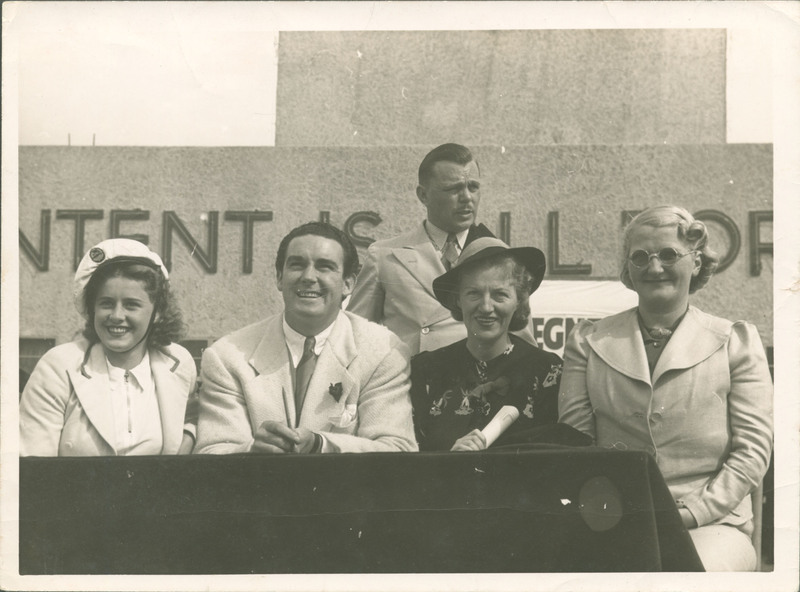 After the war had ended Joan was holidaying at Butlin’s camp at Filey, the first camp to re-open after the end of the war, and it was here that she entered into the Butlin’s beauty competition. 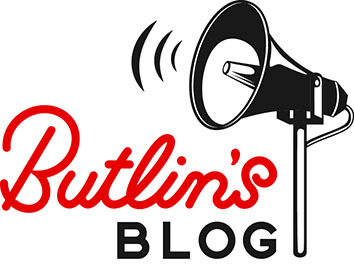 Beauty competitions have taken place at Butlin’s since its conception. The first year the beauty competition was judged by the Lancashire Cotton Queen and in 1938 by the actress Gracie Fields. It wasn’t until 1955 that the beauty competition was named the Butlin’s Holiday Princess after the Royal Princesses Elizabeth and Margaret. Gracie Fields, Jack Doyle and Billy Butlin, 1938. Having met at Filey, Cyril and Joan fell in love; they decided that they wanted to get married and where better to get married than the very camp at which they met. 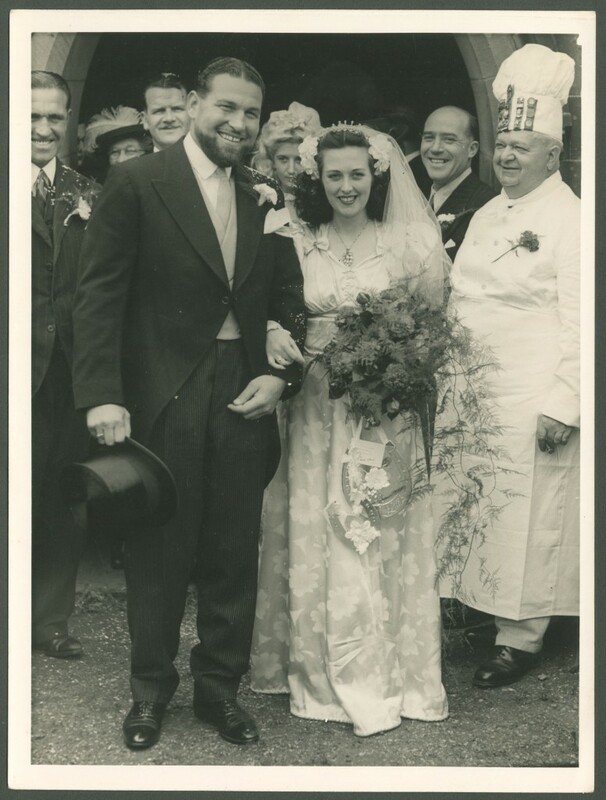 In 1946 Cyril and Joan tied the knot. Here they can be seen leaving the church on their wedding day. Noticeably the Butlin’s chef is also present in the pictures. The chef Joe Velich was one of the very first members of staff at Skegness, he became quite well known at Butlin’s and appeared on a number of postcards and brochures. He would also often be seen posing for photos with campers and celebrities. Cyril’s best man for the big day was Frank Cusworth, who was also one of the original Redcoats and later went on to become Entertainment manager at Butlin’s. After getting married the newlyweds Cyril and Joan continued to work at Butlin’s as a Redcoats. The following year the couple welcomed their baby, a little boy called Robert. Robert grew up at the Pwllheli camp. 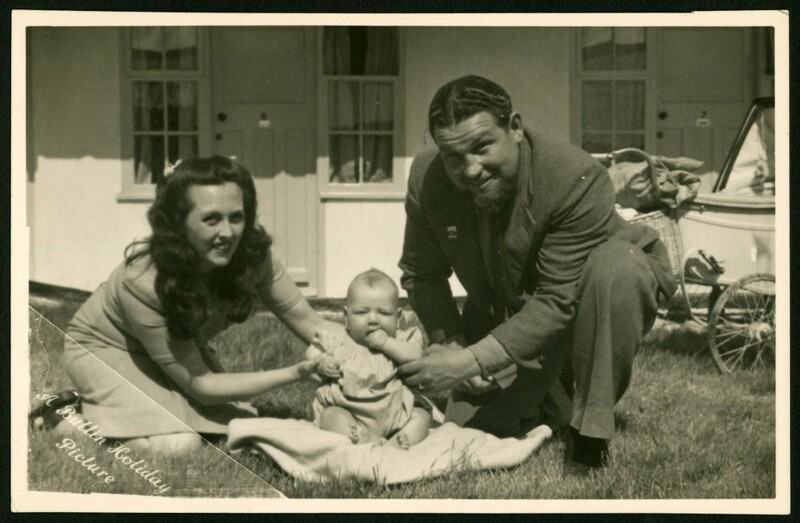 Here he can be seen outside one of the original style chalets in Pwllheli with his parents.